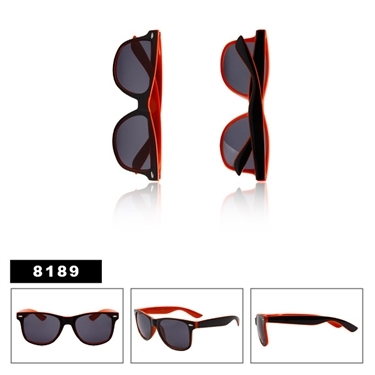 Wholesale California Classics Sunglasses Black & Orange in color, a full dozen for only $21. This model is spring hinged! Don't forget to check out the rest of our new single color dozens!